I became familiar with the term “verification” in the year 1995 when I began working at the Grafton National Displaced Camp which housed more than 15000 internally displaced Sierra Leoneans from all nooks and crannies of the country. 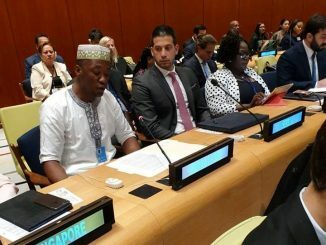 The term was generally used by donor agencies who came in to deliver humanitarian aids to those who were truly displaced and squatting in spontaneous camps within Freetown Western Area. We conducted verification exercise in order to identify true residents of the camps since many Freetowneans were popping in only to benefit from donor supports. I participated in series of “verification” exercises funded by the then food aid donors including the United Nations World Food Program, World Vision, CARE and CRS. But never did I thought of using the term (Verification) to prove membership of political dignitaries to an opposition party like SLPP. As the spiritual saying goes “wonders shall never end”, so human selfishness, greed, nepotism and tribalism have become in the main Sierra Leonean opposition. The more we criticise them in our columns the more they grow tenacious on the sordid deeds. The rumpus and stories revolving around the candidature and membership of KKY to the Sierra Leone People’s Party (SLPP) have proved to be more complex than a Java code. The brouhaha has degenerated into the usage of many legal terms such as legitimacy, authenticity and verification. While KKY continue spreading his ‘Hope, Opportunity and Transformation (HOT)’ message to the poor Sierra Leonean youths, his antagonists are undermining his integrity and moral fundaments by forming what they called “Verification Committee” to prove him wrong. The motive is obvious: intimidate and chase him from the party after realising that his curriculum vitae is more enviable than any other flagbearer aspirant. Most importantly, he hailed from a very minority tribe in the North, not from the East or South, this is the hidden truth, trust me!!! How on earth can you verify a well-known citizen like KKY after your Secretary General has officially confirmed his membership? Can you tell us what are the specific questions entailing the verification process? Why do you think your own membership is so legitimate to verify other people in SLPP? Since some of you went to the parliament in the name of SLPP what have you done for the party so far? 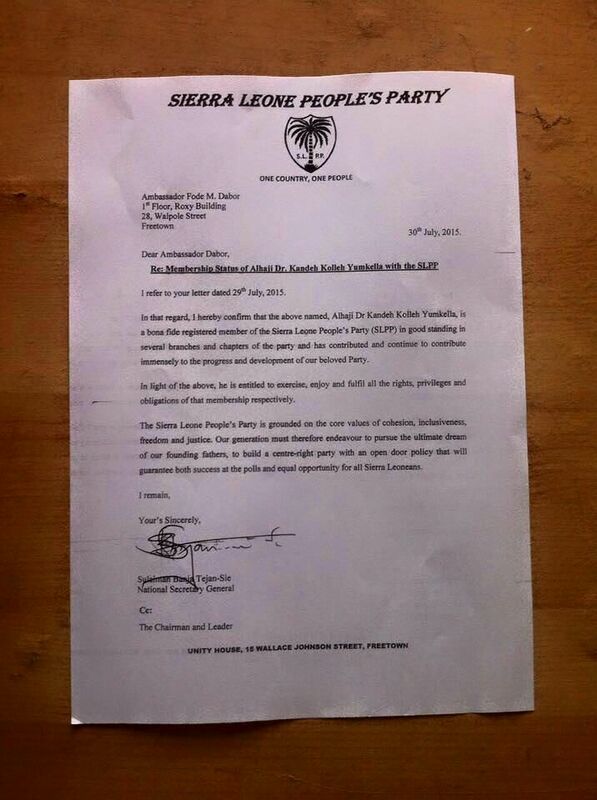 When did the SLPP leadership began verifying people before accepting their membership? It’s a known fact that the man is registered with several SLPP chapters abroad where he has been working over the years and his registration documents are authentic and recognized by the National Secretary General. So why a registration at BO, Kambia, Makeni or Freetown should be so tropical to (only the Mende men) like Poro initiation? I wonder if they didn’t ask him to read Quran or Bible in Mende as part of the verification. As an Easterner, a bona fide Mende to be precise, I’m so ashamed to read such farragoes published by the so called SLPP Regional Chairman, Hon. Edward A. Soloku, referring to himself as a self-designated “Verification Committee Chairman”. I’m not ashamed because I’m Mende, I’m ashamed because the entire controversy surrounding KKY’s membership is tribally, regionally and selfishly motivated. They are subjecting the noble man to those stupid conditions and unusual situations in bid to intimidate, molest and chase him away so that they can be able to solidify Mende grip on the party flag. In a letter dated 30th July 2015 (see attached) written in simple English, which even a primary school pupil can understand, and signed by the party’s Secretary General who is the only administrative figurehead that is responsible for keeping the party’s administrative records, Sulaiman Banja Tejan-Sie made it perspicuously clear that KKY is a registered and recognized member of SLPP. So what is the legal merit of the Soloku led committee? In his tribally, selfishly and maliciously warded letter, Hon. Edward A. Soloku unethically and illegally published today the letter bellow against KKY without even informing the party’s administrative heads. He now thinks that once he is a Mende man no one should lead him in SLPP. 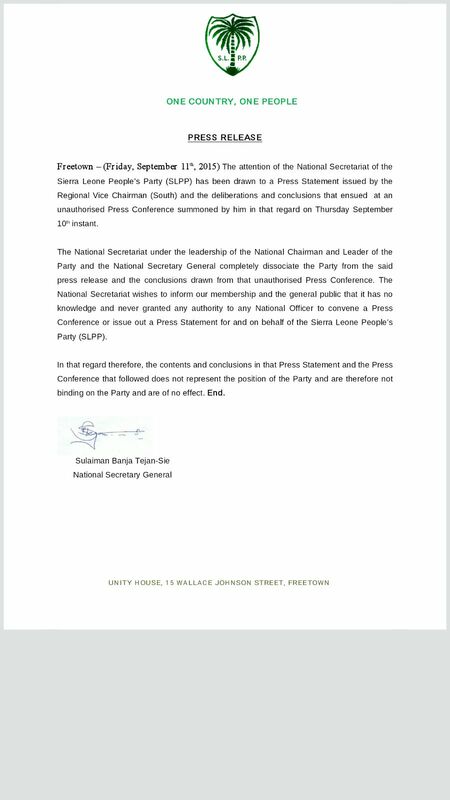 Few hours later, the party Secretary General, Sulaiman Banja Tejan-Sie, condemned his press release in a very strongly worded letter . Please click here to read it before reading the Soloku’s tribally motivated press release. I’m publishing it in this medium not because I honour or respect it but because I want to do justice to my readers. It will be recalled that Dr. Kandeh Kolleh Yumkella visited the SLPP National Headquarters in Freetown for the first time on 24th August 2015. He had a successful meeting with the National Officers of the Party. During the meeting, Dr. Yumkella informed the National Officers that he was a registered member of the SLPP in the category of Grand Chief Patron and that it was his intention to upgrade his membership to the category of a Distinguished Grand Chief Patron. At this stage, his registration was questioned since the National Treasury had had no record of his registration. 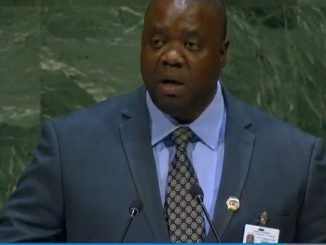 Dr. Yumkella replied that he had been registered as a member in Bo in March 2013 and promised to present all relevant documentary evidence of his membership through his Legal Team the following day, Tuesday, 25th August 2015, including the necessary payment for the upgrading of his membership. Dr. Yumkella’s Legal Team did not come on the Tuesday as promised but came instead on Wednesday, 26th August 2015. They presented a photocopy of a Grand Chief Patron Membership Card No. 0115 signed by the Late Alhaji U.N.S. Jah as National Chairman and Mr. Jacob J. Saffa as National Secretary-General, two original receipts dated 2013 and 2014 respectively and cash of Le5,000,000 (Five million Leones) for upgrading. The Committee refused to accept the money for upgrading since there were issues to be cleared about his membership. The Committee proceeded with the investigation. 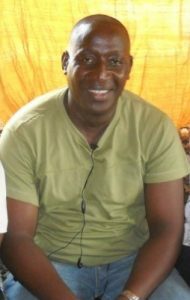 Below are the key findings of the investigation: i) That the registration for Dr. Kandeh Yumkella was purportedly done for him in Bo but no record of such registration has been found to exist at the Party Offices in Bo or Headquarters in Freetown as is required for persons who register for membership as Patrons, Chief Patrons and Grand Chief Patrons. ii) That both the Chairman, Bo District Branch, Alhaji Kanja Sesay, and the Secretary, Mr. Mohamed Alie, have no knowledge of any registration in Bo of Dr. Yumkella either by himself or on his behalf. 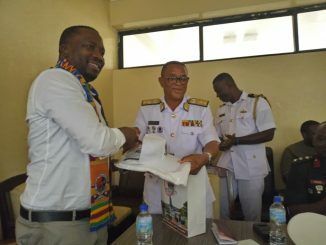 The District Secretary has denied the claim by Dr. Momodu Yilla that a registration card was issued by the District Secretary and Dr. Yilla has not produced any satisfactory evidence to substantiate his claim that the District Secretary had indeed issued any valid registration card for Dr. Yumkella. iii) That the Receipt Number 12794 dated 02/03/2013 bearing the name of Alhaji Kandeh Kolleh Yumkella (Dr.), with a total payment of Le1,400,000 (One Million Four Hundred Thousand Leones), for the category of Grand Chief Patron membership with monthly contributions spanning the period from January to December 2013, claimed to have been obtained in Bo, corresponds with a Duplicate Receipt Number 12794 found at the Party’s National Treasury in Freetown bearing the name of Alfred Senesie with total payment of Le11,000 (Eleven Thousand Leones) for an ordinary membership registration card done by Mr. Michael Musa (a designated staff member) on 18/06/2013 during the tenure of Mr. John O. Benjamin as Chairman and Mr. Joe Kallon as National Treasurer. iv) That the Receipt Number 5400 dated 10/03/2014 bearing the name of Alhaji Dr. Kandeh Kolleh Yumkella with a total payment of Le1, 200,000 (One Million Two Hundred Thousand Leones) for the category of Grand Chief Patron membership with monthly contributions for the period from January to December 2014 does not match with any of the Receipt Numbers in the General Receipt Books kept at the National Headquarters and printed between 2nd September 2013 and 19th June 2015. The Receipt serial numbers for that period comprise of seven (7) digits from 0000001-0003000.
v) That the Grand Chief Patron Membership Card with the No. 0115, signed by the Late Alhaji U.N.S. Jah as National Chairman and Mr. Jacob J. Saffa as National Secretary-General, issued in the name of Alhaji Kandeh Kolleh Yumkella (Dr.), a photocopy of which was presented by his Legal Team, had in fact been rendered obsolete as at the date of issue printed on it (02/03/2013). That particular specie of membership card had been superseded and replaced by new specie in August 2012 when the Party introduced the new semi-biometric membership card that is currently in use. This change was done during the Chairmanship of Mr. John O. Benjamin whose tenure of office ended in August 2013. Although membership cards issued before August 2012 remain valid, all persons applying for membership at the level of Grand Chief Patron, Chief Patron or Patron after the new cards came into effect have had their photographs imprinted on their cards. In light of all of the foregoing, the Committee finds itself unable to verify the authenticity of the documents tendered by the Legal Team of Dr. Kandeh Kolleh Yumkella. The Committee therefore regrets that it cannot recommend any upgrading as requested by Dr. Yumkella since there is no proof of any pre-existing valid registration of membership. Instead the Committee wishes to recommend that Dr. Kandeh Kolleh Yumkella applies for a new registration of membership of the Party. This way this matter will be brought to closure, thereby reducing unnecessary conflict and tension amongst party supporters and helping to promote the ongoing unity, peace and reconciliation initiatives within the Party. 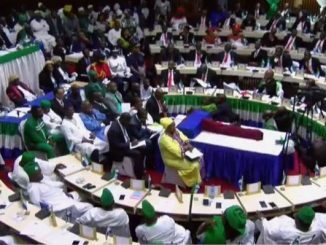 Finally, the Committee would like to take this opportunity to reaffirm the SLPP’s principle of inclusiveness as encapsulated by its Motto of “One Country One People”, which it holds sacred, and to open the doors of the Party to all Sierra Leoneans without discrimination of any kind. There is no desire on the part of anyone to exclude any bona fide applicant wanting to join our Great Party. All we strive to promote and uphold is unflinching respect for the sanctity of the Constitution of our Party and the Rule of Law by asking all who desire to join it to openly and transparently follow the established and hallowed procedures for obtaining the membership of our Great Party. It must be noted that some other members of the so-called “verification committee” who are mentioned in the Soloku’s tribalistically worded letter have disassociated themselves with it entirely. As the battle for SLPP flag continues, it could be clearly seen that the party is still 1000 miles away from claiming victory in any future election, if things remain unchanged.